You won’t find a worse person than me to have on your trivia team … unless of course there are lots of questions about puppy schools … now there’s a topic I can nerd out on! You only have a very small window of opportunity to essentially mold your puppy into the confident dog you want to share the next 8-18yrs with (this is called imprinting during their critical, or fear, period). The length of time this window is open varies, based on the size and breed of your little one, but on average it’s said to be between the ages of 4-16wks. 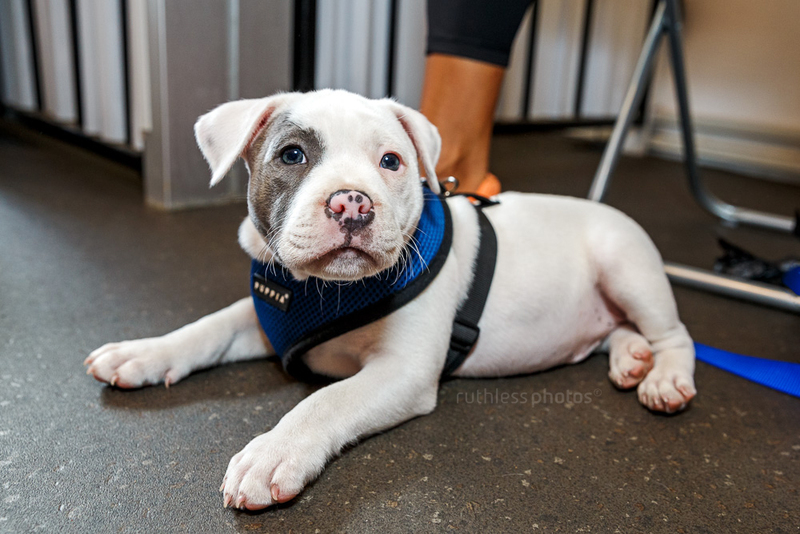 Puppy school is typically four weeks long, with one, hour long, class every seven days. It’s a very small time investment on the new puppy owner’s part and I can’t emphasise the importance strongly enough. Having said that, not all puppy schools are created equally, so I’m going to help you navigate the minefield by telling you what to look for when doing your research. 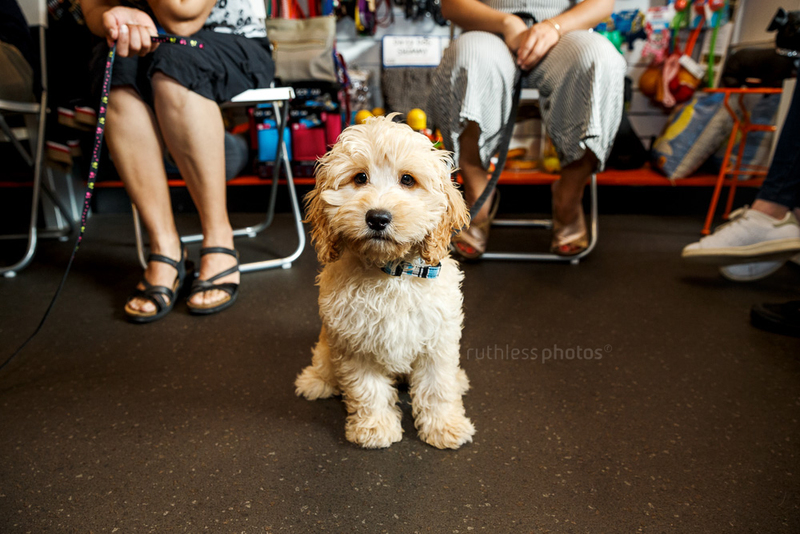 I’ll also give you my personal recommendations for the best puppy schools in Sydney and Canberra. other equipment for your puppy. Their qualifications will be stated on their website. The best puppy school courses will cover general puppy know-how and handling, development stages and expected behaviour, basic obedience skills, how to read body language, toilet training and socialisation. Small class sizes are important so the teacher will have plenty of time to give each student and puppy individual attention. It also ensures that the less confident puppies don’t get too overwhelmed. Puppies can vary in breed and size but all should be in the same age range of 8-16wks. As younger puppies won’t have had all their vaccinations yet it’s vital that the class is run in a clean and sterile environment (not at a dog park). Double gates or doors at points of entry/exit are preferable, should your puppy get spooked for any reason and try to run away. The best puppy schools aren’t an off-lead free for all! 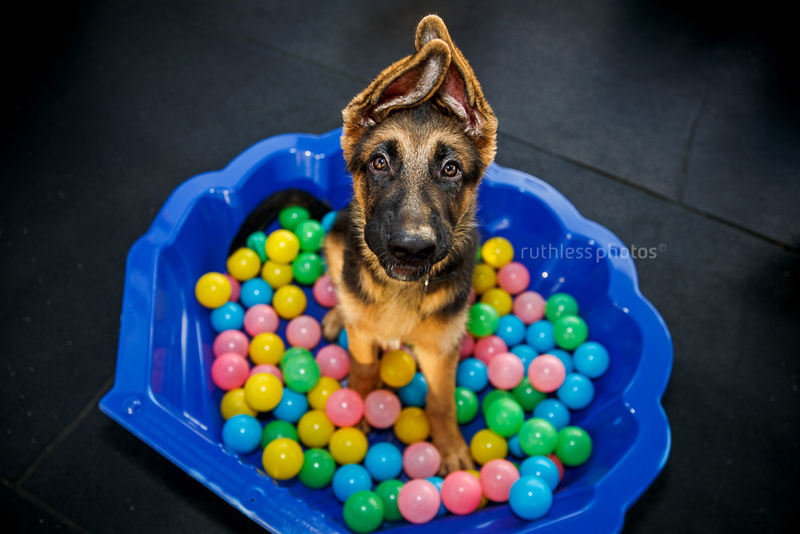 The instructors use exercises that teach the puppy how to cope with frustrations and ultimately learn to be calm. Any off-lead play is carefully managed and supervised with just two puppies playing at one time and under no circumstances will any bullying or inappropriate play be allowed to take place. Puppies need to meet lots of other dogs in order to be well socialised. FALSE! These aren’t just wrong, they’re also potentially enormously damaging to the temperament of your puppy. It’s best advised that you start puppy school straight away. It’s vital to take your puppy out and about as much as possible so it can learn that the world isn’t a scary place. You will need to carry it in high dog traffic areas and only let it meet other dogs and puppies that you know are fully vaccinated. 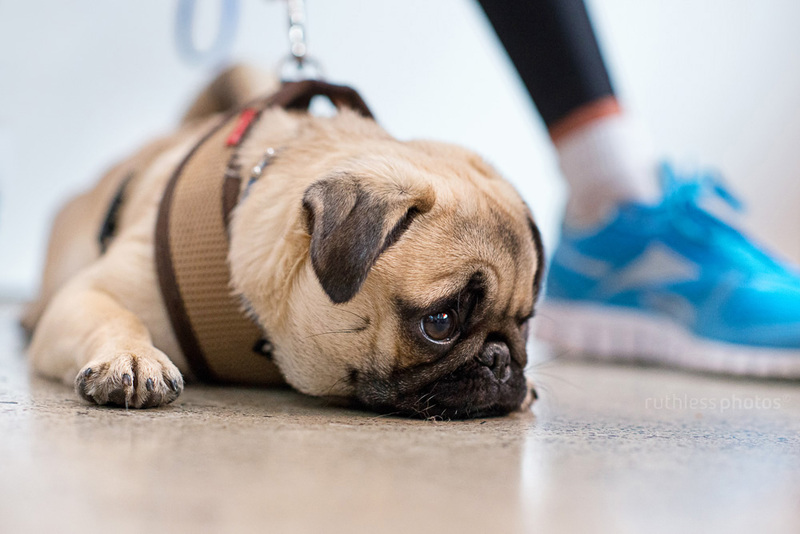 If you stay at home until your puppy has had it’s final vaccination there’s a very real risk that your dog will spend the rest of it’s life being anxious and fearful. Dog parks and doggy daycare are an absolute no-no for baby puppies that are still in their fear period. It can take just one inappropriate interaction at that age to ruin a puppy for life and create a fearful and/or aggressive dog. When trainers refer to socialisation they mean your puppy should be safely introduced to as many sights, sounds, surfaces and environments as possible during their critical period. 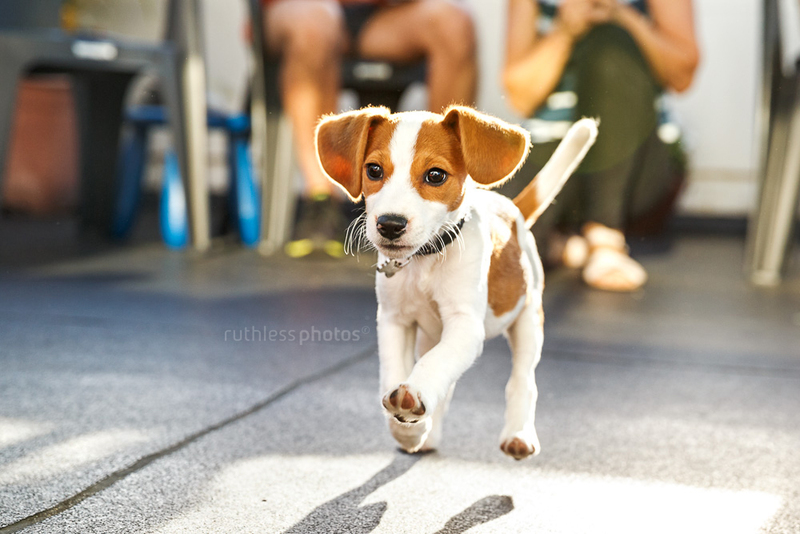 A great puppy school will have fun games for you and your puppy that will build their confidence and help overcome any fears that may be developing. 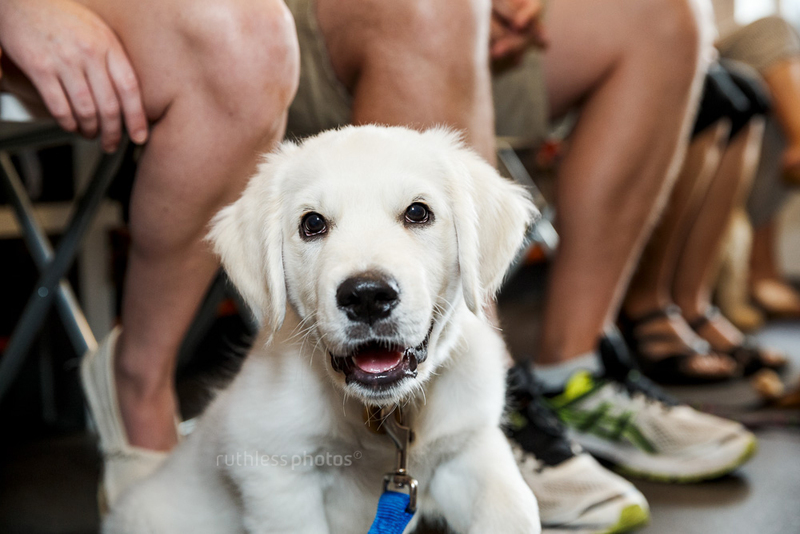 A good puppy school will give you the tools to continue to raise a happy, healthy and well-rounded dog. They don’t ban important social games such as tug of war but will show you how it is done correctly. The instructor will teach you valuable exercises and enrichment ideas that are appropriate for your dog – based on their breed, temperament and size. They will also advise on the safest and most effective equipment to use. All dogs are different so the solutions should be tailored to suit on a case-by-case basis. If you’re reading this page it’s probably because you have a puppy – lucky you!! 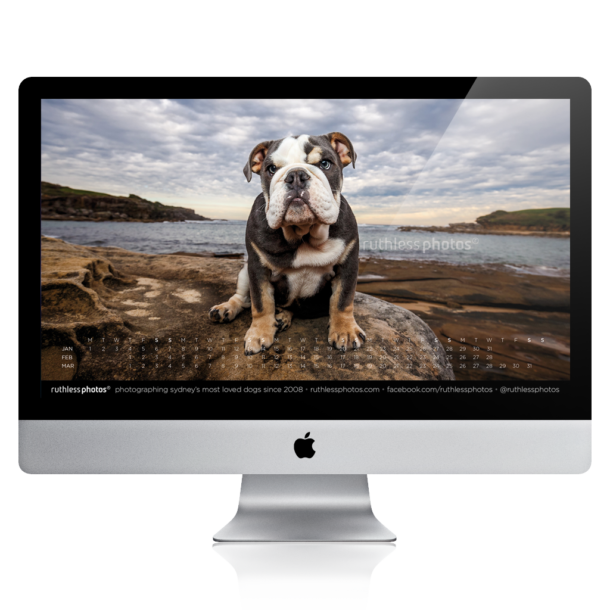 If you haven’t already noticed, I’m a little bit obsessed with them (I even publish a fundraiser diary full of them every year) and nothing makes me happier than capturing all that is so ridiculously cute about puppies. I have a package that’s been specifically designed for new owners which consists of three sessions throughout their first year (they grow up so fast!) and at the end you get to take home beautiful products that showcase images from each stage of their adolescence. If you’d like to find out more please click the button below. Do it now, before they’ve had another growth spurt!